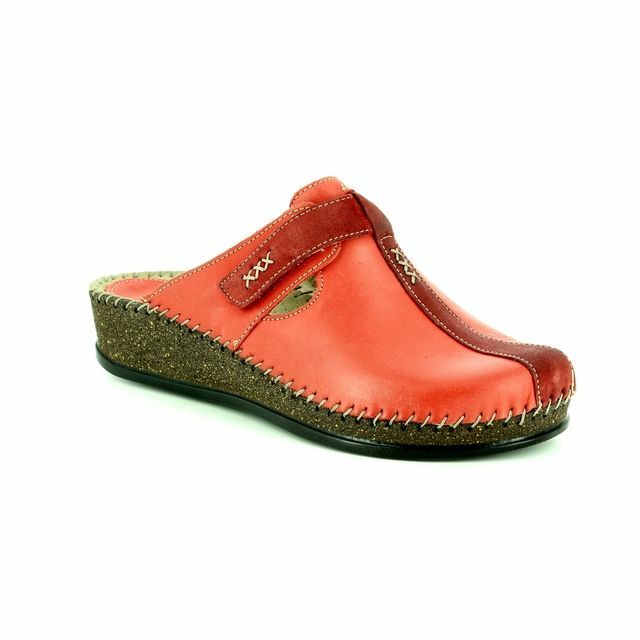 Walk in the City bring us 4988/32010 LAGOTO. 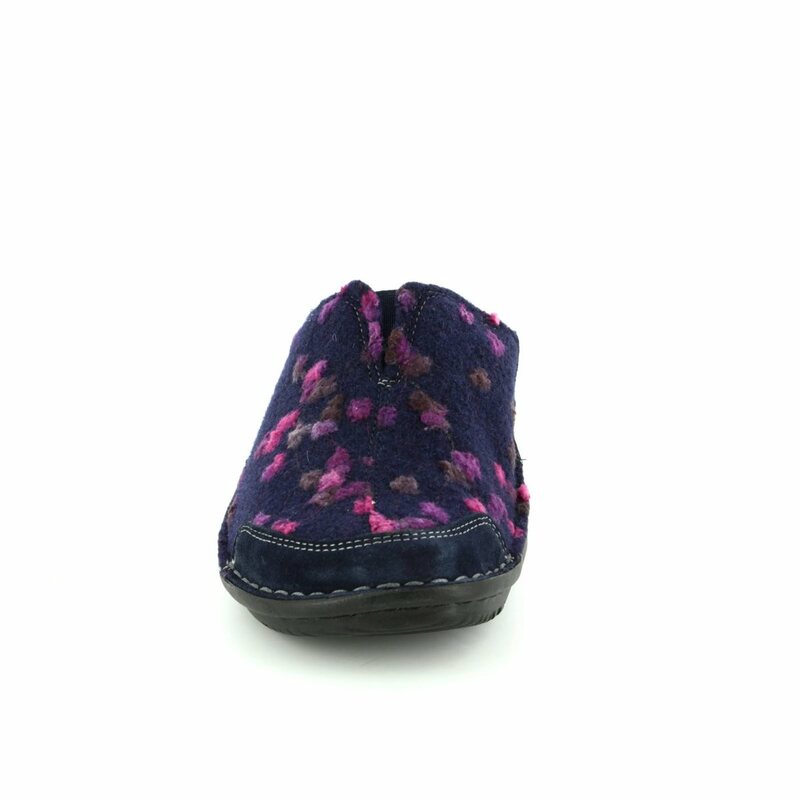 Perfect for the colder months, these ladies mules are exactly what your feet need. 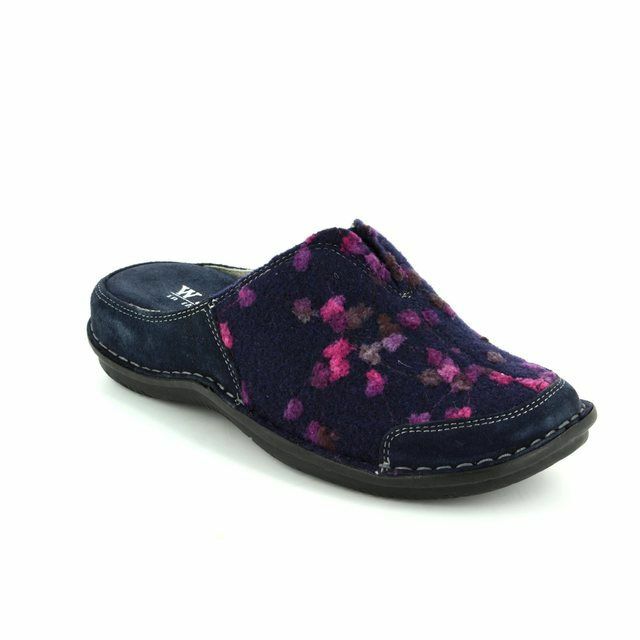 The navy wool and suede upper is sprinkled with a delicate floral design in pinks and purples for a feminine touch. 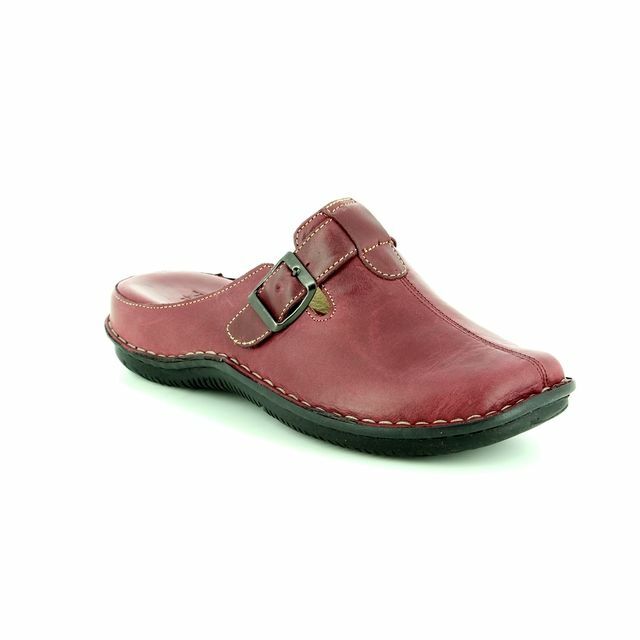 Walk in the City have added practicality to these ladies slippers with the use of a solid sole unit. 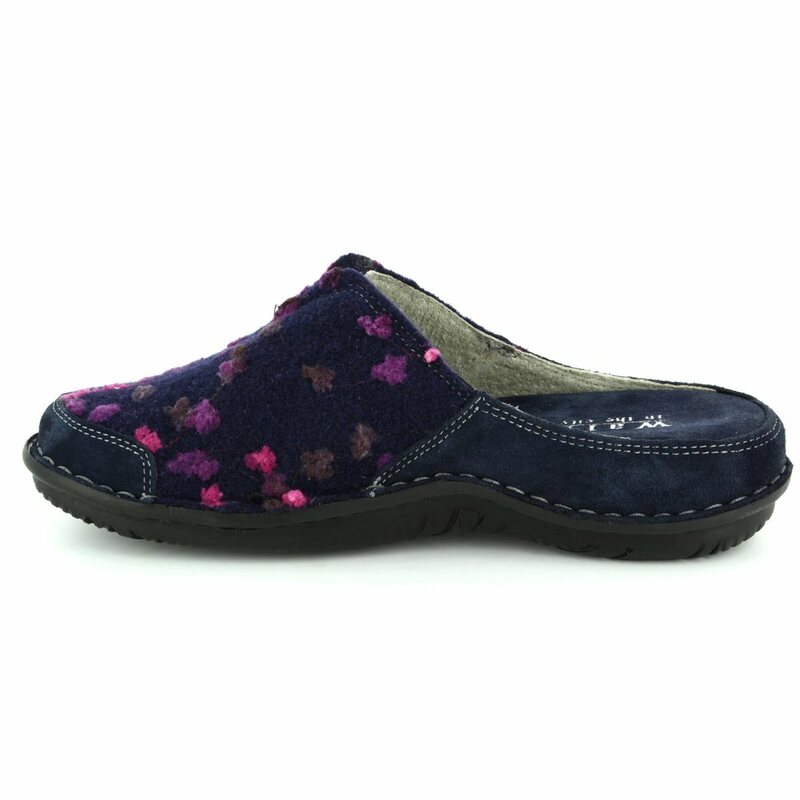 The addition of a leather lining makes these ladies slippers a dream to wear. 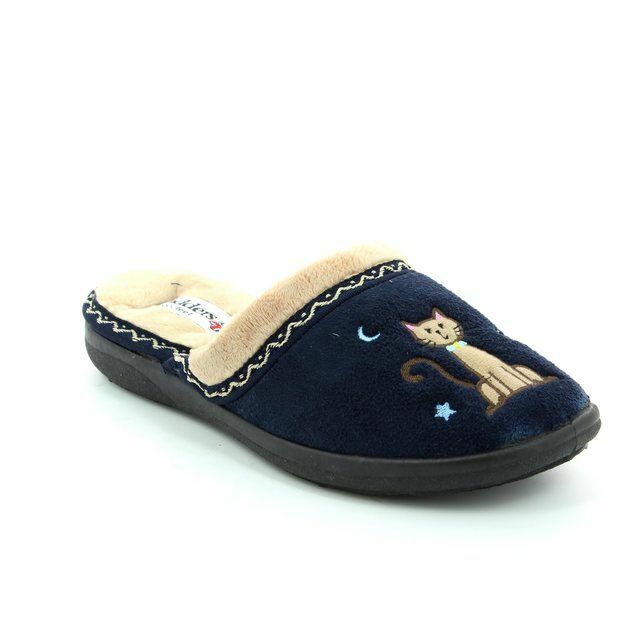 Pair these with your favourite loungewear for the perfect winter wear. 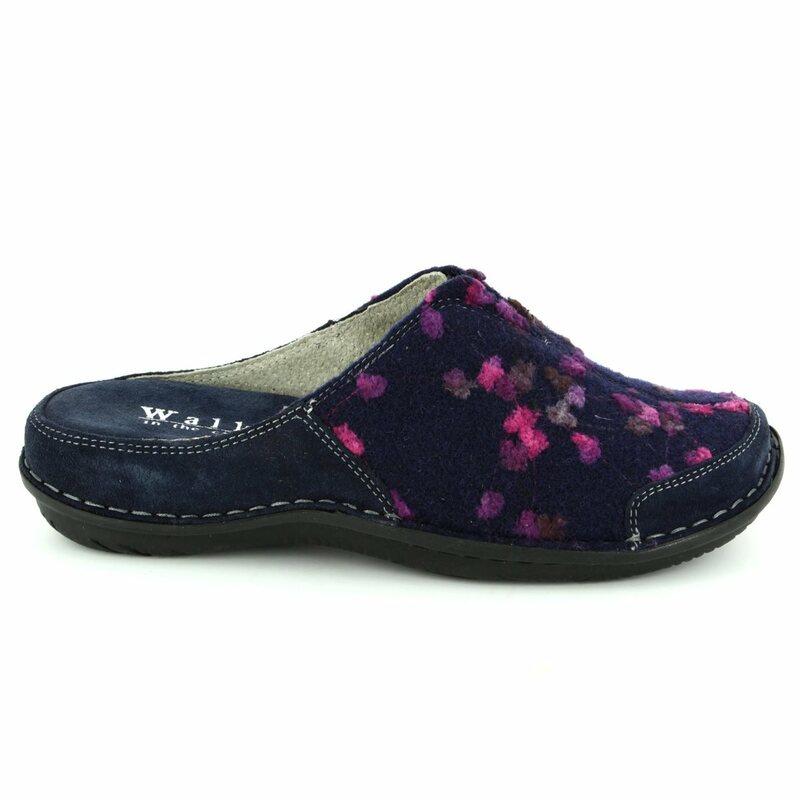 Buy your Walk in the City ladies slippers from Begg Shoes and Bags, an official Walk in the City stockist.